It is not very often that Facebook advertises in newspapers. Last time it did was a year ago when it was promoting 'free basics'— a limited internet service provided for free to subscribers of partnering telecom service providers. The internet platform’s reach is unparalleled vis-a-vis to traditional media. Yet, on September 21, the US based social media giant gave advertisements in English dailies. It was about “tips for spotting false news”. “It’s possible to spot false news. 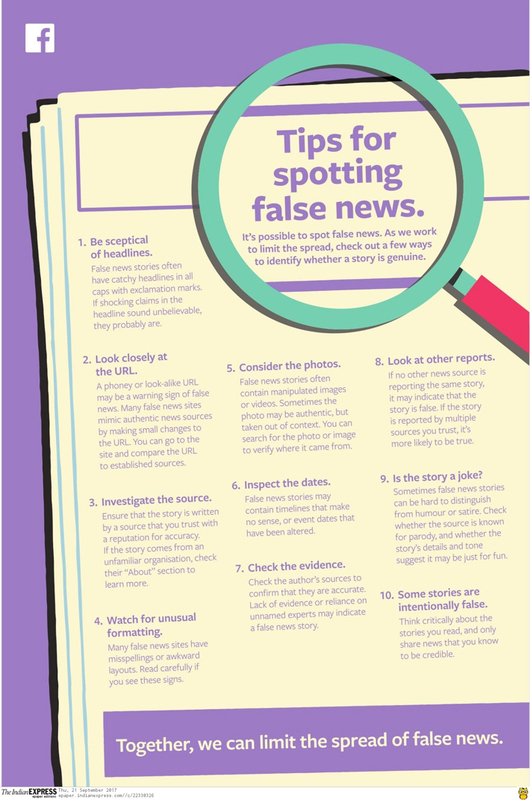 As we work to limit the spread, check out a few ways to identify whether a story is genuine.” It listed ten ways for a user to judge if a story is genuine or it is fake/false news. 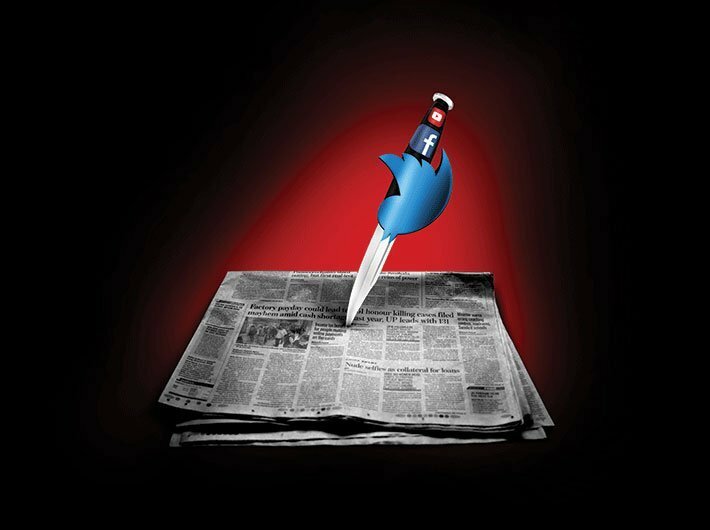 Over the years social media services including Facebook, Google and Twitter — once credited for Arab Spring and civil mutinies against dictatorial and authoritarian regimes — have tuned into mere tools for spreading political propaganda, misinformation, undermining criticism and dissent, hatred and violence. Although spreading lies and distorted facts [now we call it post-truth phenomena] for vested interests is an age old practice, services like Facebook and WhatsApp have taken it to a new, unprecedented, level. It’s not only affecting India but also several other democracies of the world. The US presidential elections 2016 is a classic example. It is alleged that Russian intelligence agencies orchestrated misinformation campaign using the American social media giants ‘exposing’ democratic candidate Hilary Clinton and supporting Donal Trump, the current president. Post elections, Facebook did admit that it was partly responsible for the misinformation campaign. Stories alleging Clinton of selling weapons to ISIS (she didn’t) became more popular than stories about final days of campaign, TechCrunch.com reported. In India, the impact of social media giants is still not considered as significant— given that only 20-30 percent Indians use internet daily and a large section of population doesn't have access to the internet. The social media services, however, have already caused considerable damage. 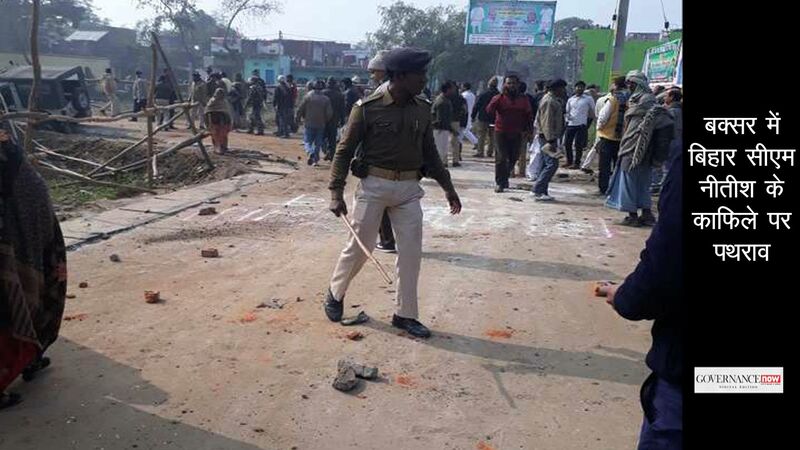 Fake news on Facebook and Facebook owned messaging service WhatsApp have resulted in several public lynching (Jharkhand for example), riots (Muzaffarnagar is one such case) and violence and assault against women. And in all these cases the response of Facebook and other media companies have not been very encouraging. Often they have been criticised for not doing enough for India, although they have complied to several European countries in curbing fake news. In April and May, before the national elections in France and UK, Facebook gave full page ads in major national dailies in the two countries. Before these elections, Facebook deleted thousands of fake accounts from the two countries. In Germany, the government has approved a legislation to penalise internet giants to the tune of $ 50 million in case of their inability to delete fake news or hate speech promptly. After consecutive terror attacks and violence in the UK, the British parliamentarians came down heavily on the internet giants including Facebook for putting profit before safety and for their failure to curb hate speech and violence on their platforms. The Commons home affair committee noted that the internet firms earn revenue from posts which are fake and which promote hate speech and violence. Even in case of Facebook, although it uses technology to place ads on sites and curate content and newsfeed, it has virtually turned a blind eye to its ill effects of such content. It is true that the social media companies should not be given absolute power to filter content or should be made into gate keepers. It will rather adversely impact free speech. However, there is certainly need for techno-legal solutions which could ensure that the platforms are not used to threaten peace and security. The Indian government too has been lacking in action on its part. 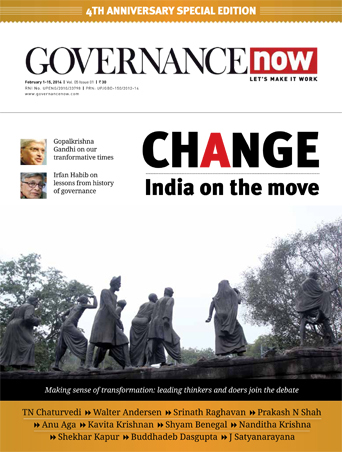 Although the fake news phenomena has gained momentum over past few years — several fact check services have propped up to curb misinformation including SM Hoax Slayer, Alt News, Check4Spam, among others — the government is yet to initiate dialogue and deliberation on defining fake news and finding ways to deal with it. Till that time, internet users are advised to apply discretion, and not blindly believe anything that they come across on these sites and messaging services such as WhatsApp. Scroll through the fact check portals regularly. Go through the Facebook ad again and again, carefully.